On january 1, I became one of the thousands of participants in India’s first odd-even number plate system in Delhi to curb vehicular pollution. Being a Delhite, the health burden of pollution is definitely a cause of concern for me. But the success in rolling out such a system has a few fundamental lessons in governance. And they are not relevant to just an urban set-up. The message from Delhi’s experiment is applicable to every development programme or policy for successful implementation. What are those lessons? Delhi’s odd-even system seems outstanding not for the rigour of the government’s implementation plan but for the overwhelming support from the public. From day one, there has been much less violation than expected. It means people participated in the government’s scheme. Personally, I started enjoying the car-free alternate day. At the same time, I felt happy for my contribution to clean Delhi’s air. Why people participated in this system is the big lesson for anybody involved in governance. As Delhi Chief Minister Arvind Kejriwal celebrates the first anniversary of his unprecedented electoral success in February, he should count the success of the odd-even system as his second-biggest win. And also, the biggest lesson in the people-centric governance he has been championing. Kejriwal came into the limelight due to his hugely popular anti-corruption campaign. This is similar to the anti-pollution campaign: both issues impact common people directly and involve both, people and government. In both cases, political will is vital. Kejriwal invested political will in both cases equally. But why did the anti-corruption campaign fail to sustain without much public participation? At the same time, the anti-pollution campaign is turning out to be successful, with never- before-seen public participation. At the risk of being termed very simplistic, here is an aam admi explanation. It is due to the choice people make between convenience and inconvenience. In most cases, corruption is about convenience, like avoiding a long queue at the railway reservation counter by paying a bribe to the tout. Pollution is an issue of inconvenience of very serious proportions: our own children suffering from respiratory problems, normal lives being crippled due to bad air. Another successful campaign, polio vaccination, also enjoyed similar participation due to the threat to our well-being. Probably, this is the reason people whole-heartedly participated in the odd-even system. In situations where people have the incentive to participate, success depends on the government’s back-up plans. In Delhi, the government embarked on a campaign to make people aware, hired extra buses to strengthen public transport and Kejriwal and his ministers went out seeking public support. 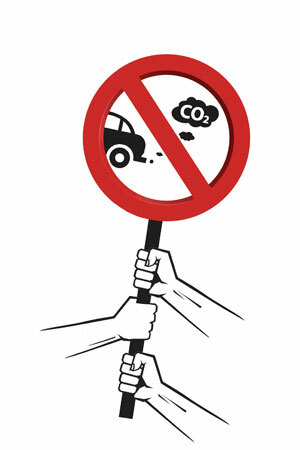 Their campaign made public participation the core of the strategy to fight air pollution. Now the difficult question: why don’t people participate in other similar programmes having direct benefits? For example, under the Mahatma Gandhi National Rural Employment Guarantee Act (MGNREGA), people are entitled to plan for their village’s development works. But public participation in such planning has been negligible. This is despite direct benefits like increase in water availability in villages and assurance of irrigation for farms. Policy makers have to apply the Delhi lesson more religiously. Bring out the inconvenience starkly and back up the roll out of a scheme with a mechanism that encourages people to participate. A very simplistic analysis. I expected better from Down to Earth. So many things wrong with the article that I am not sure it deserves a point by point rebuttal!